Join me here and share your black & white photos! A nice photo with a romantic text ! Simplicity at its best! The words are food for thoughts. Beautiful pictures, I really like the first one. Listening - an highly under rated sense. Lovely and basic - so winter. Wonderful quotation! I'm going to carry that one in my heart today. Fabulous quotation - and photo. Silence is good for the soul very often! 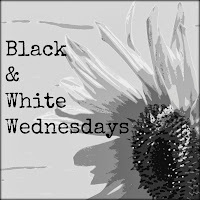 Great b&w photos and a lovely poem! What a great quote. I really like the photo, too. Beautiful!! I really need to get back to some black and white shot... Maybe next week!